CEDIA 2009 Award winners revealed | What Hi-Fi? 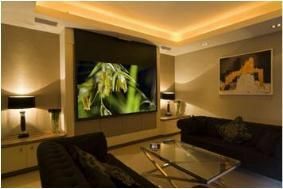 Sky News presenter Martin Stanford handed out the trophies, which went to, among others, Grahams Hi-Fi for its London penthouse and Synergy Technologies from Pakistan which won the Best Home Cinema Installation over £100,000 for the Saleem Residence. Robert Hallam, chairman of CEDIA Region 1, says: "We were thrilled by the quantity and quality of the entries received this year and it's great to see so many from outside the UK not only entering the awards, but winning them as well."